While public transport providers continue to raise fares at the start of each year, out of the box comes Greyhound with a fares strategy keeping pre-season discounts in place as permanent pricing on its Brisbane to Cairns services. 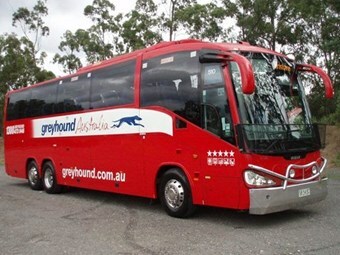 A Greyhound Australia spokesperson says the pre-Christmas deals on coach travel have stayed for all travel points on the coastal strip from Brisbane to Cairns, applying to both short and long distance travel along the Bruce Highway. "The target markets for these savings are tourists, travellers, backpackers and ‘commuters’ – these are people who travel from Cairns to say, Tully on a weekly basis to work or study," says the spokesperson. Greyhound initially launched cut rates late in 2012 to attract high travel rates over the festive season. "Now that it’s bedded in Greyhound is geeing up the low season, so in reality there are savings all the way between Brisbane and Cairns." Greyhound has 44 stops between Brisbane and Cairns with the vast majority of bus travellers of the ‘hop-on-hop-off’ variety. And against conventional thought, just 200 tickets from Brisbane to Cairns are sold each year, verifying the short stop commuting nature of Greyhound’s services. "You can ‘stitch together’ as many of the sectors as you want and still get the discount, for instance if you wanted to go direct Brisbane to Cairns the old price was $334 and the new is $282." Greyhound Yield Manager Helen Beatson says the operator hopes the savings will entice travellers to visit North Queensland during a lull period for tourism. Beatson says the across-the-board fare overhaul meant Greyhound was offering some of the best bus bargains in the country with discounts of up to 75 percent on certain sectors. "We have significantly rationalised our pricing structure to reflect passenger demands for affordable travel all along the coast," she says. "These price cuts will be a particular boon for Queensland tourist centres feeling the impact of the global economic downturn and high Australian dollar." According to the spokesperson, Greyhound is a big mover of people in all of Queensland, and the savings are of significant benefit, especially to tourist towns like Airlie/Hervey/ Cairns, and major centres like Townsville, which is a big commuter market. "Planes can’t or won’t fly some of the short hops, so bus is the only alternative besides train or car."